Stress can get in the way of a happy and fulfilling relationship so find out how stressed you are today. This simple questionnaire will give you an indication of your present stress level. Score each question with 3 for 'always', 2 for 'sometimes' or 1 for 'never'. Would you like to remain anonymous while taking our questionnaire? Book an Online Consultation with Carole, Now! Wish you could find a partner? Need to get your relationship back on track? Retiring and need some advice? Email Carole today, in confidence. 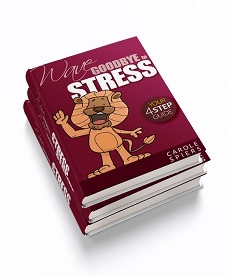 "how to beat it in 4 easy steps"
Take back control and manage your stress! Book an on-line Consultation with me NOW. Call me today on +44 (0) 20 8954 1593 or email: info@loveandrelationshipexpert.co.uk so that I can help you grow the relationships that mean so much to you.